Philippe Ailleris operates the UAP Observations Reporting Scheme. 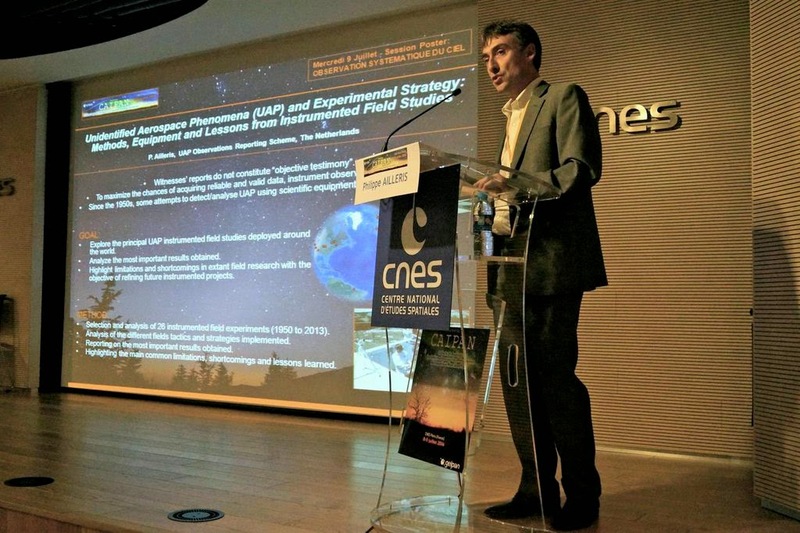 He has focused on UAP UFO instrumented field experiments. He shared with me his 2011 Acta Astronautica paper "The lure of local SET: Fifty years of field experiments"
Since the publication of the University of Colorado’s Condon Report  and the inception of the French Space Agency’s unit GEIPAN , numerous Unidentified Aerospace Phenomena (UAP) sightings have been reviewed using diverse measures (e.g. physical traces, radarscope data, photographs, film and video footages, physical effects, and medical records). Nonetheless they have failed to provide sufficiently reliable evidence to convince the scientific community of the existence of anomalous aerial phenomena on Earth. Almost all these previous data have not been acquired under controlled conditions with scientific instrumentation. It is obvious that a change of methodology is necessary and that the UAP phenomenon requires an active investigative response to move toward a scientific solution. To maximise the chances of acquiring reliable and valid data on the UAP phenomenon, instrument observations of UAP are essential, preferably coupled with visual observations. Instrumentation can assist in obtaining quantitative data required to understand basic physical characteristics of UAP. As early as the 1950s some attempts to detect and analyse anomalous atmospheric phenomena using scientific equipment have been carried out in the field in areas where anomalous aerial events had been reported. Field research gave credence to the idea that the UAP phenomenon could be studied on a rigorous and empirical basis. This paper describes some of these past experiments, from the different schemes and strategies devised, to the field-instrument packages selected and the most important results obtained. Details of the principal instrumented field studies deployed by governmental agencies, scientists, researchers and associations around the world are presented along with limitations and shortcomings in extant field research, with the objective of refining future instrumented projects. Finally the paper highlights the importance of studying the history of the UFO controversy, especially the necessity of accurately documenting and preserving the information pertaining to these historical research efforts (allowing this past work to guide future projects), and encouraging official bodies to be open and transparent in communications related to genuine UAP reports. 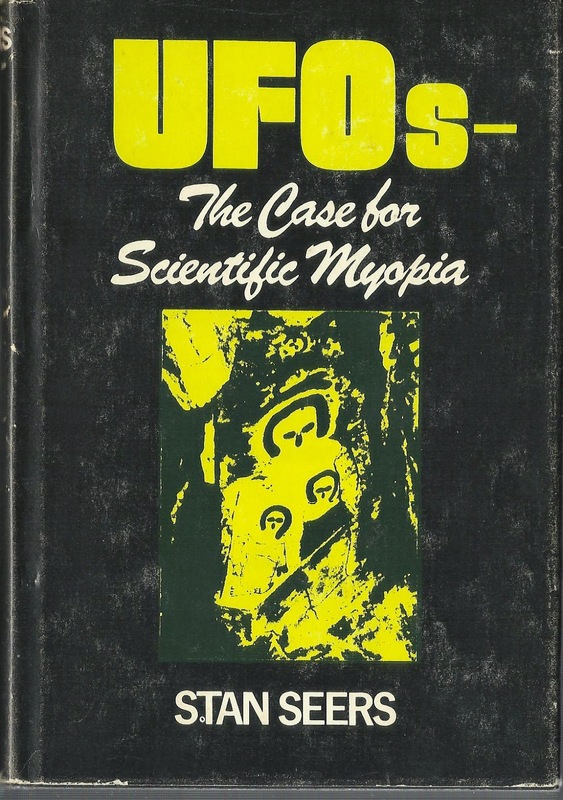 Condon Dr. Edward & Sullivan, Final Report of the Scientific Study of Unidentified Flying Objects Conducted by the University of Colorado under Contract to the United States Air Force, Bantam Books, 1969. Groupe d’Études et d’Information sur les Phénomènes Aérospatiaux Non identifiés, http://www.geipan.fr/, 2014.
of Philippe Ailleris presenting at the CAIPAN workshop. Recently I sent Philippe material about instrumented field studies in Australia and China. 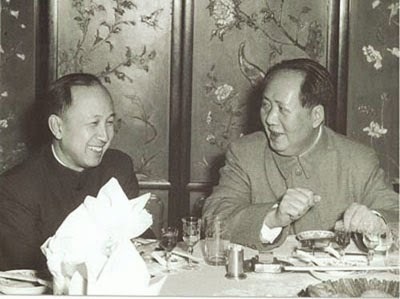 Between 1983 and1989 the famous Chinese scientist and the “father of Chinese rocketry”, Tsien Hsue-shen (or Qian Xeusen (pinyin)) advocated “UFO studies to be included in the teaching of geoscience” and supported the establishment of UFO observation stations. (See also Paul Dong in "The UFO Report 1991" edited by Timothy Good, Chp 6, "China Establishes UFO Observation Stations"). Taking Qian Xeusen's comments to heart a lot of the astronomical observatories "provide" a "side benefit" of defacto UFO observatories. Around 1968 Australian researcher Stan Seers developed "a simple, cheap, and easy to assemble UFO magnetic monitoring device." One of these fitted with a "self-triggering cine camera" was set up at Horseshoe Lagoon near Tully, another at a site 20 miles south of Brisbane. The setup at Horseshoe Lagoon was triggered and ran off footage. 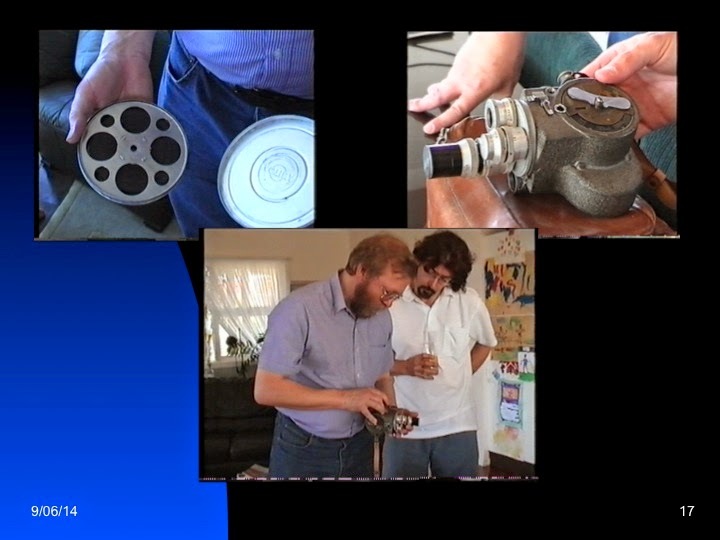 The undeveloped footage was posted off to Kodak. The package was returned with a note from Kodak saying the container contained no film on arrival in Melbourne, despite the original postage being indicative of a film being present. Investigators used a local member of parliament to try to get to the bottom of the missing film mystery, but all to no avail. 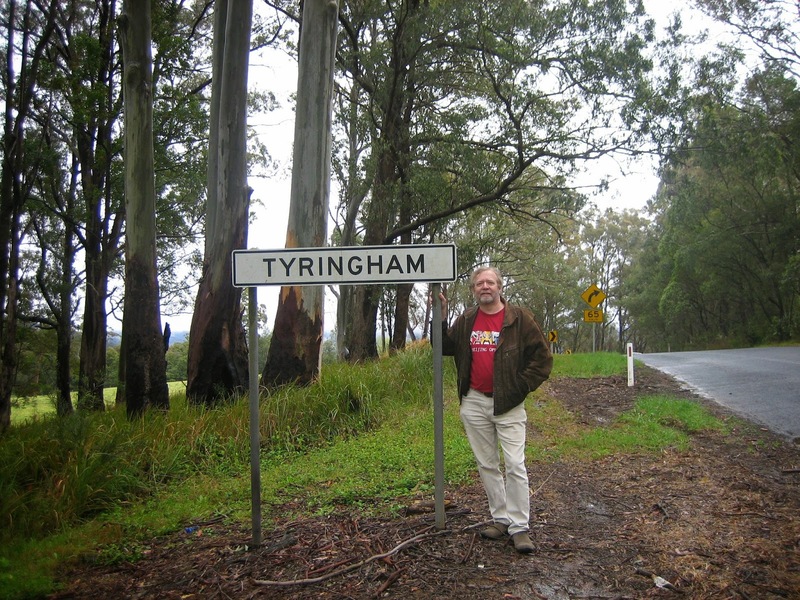 "Albert's "dream" machine - UFO reality at Tully"
I deployed a range of detection equipment, including one device designed by technician Andrew Cole to detect only moving magnetic fields, into known UFO flap areas of Tyringham and Kempsey during 1976. Only calibration studies were undertaken as no UFO activity was witnessed. My recent return to the Tyringham "hot zone"
The availability and variety of monitoring equipment has vastly improved over the decades. The lessons to date provide useful opportunities for implementing improved strategies. A) Optimizing the best optical sensors that are able to acquire data on weakly luminous objects after covering all the sky. In my up coming columns for UFO Truth magazine "The OZ Files" and the Australian UFOlogist magazine "Science and the UFO Controversy" I have re-examined the CAIPAN UAP UFO scientific workshop in terms of it being an important signpost on the long road to a UAP & UFO science. The lectures, documents and videos can be accessed at this site - a huge resource for those seriously interested in the scientific potential of UAPs and UFOs. The workshop was an outstanding step towards the development of a serious science of Unidentified Aerospace Phenomena (UAP) and Unidentified Flying Objects (UFOs). The daylight filming of a UFO over Port Moresby, Papua New Guinea (an Australian territory at the time), during 1953, became a milestone case for civilian researchers, with its official investigation and disposition engendering an enduring controversy about whether it represented evidence for a bona fide UFO, for an official cover-up or a complex milieu more indicative mishandling, misrepresentation or misinterpretation. - Laurie was one of my interview subjects. 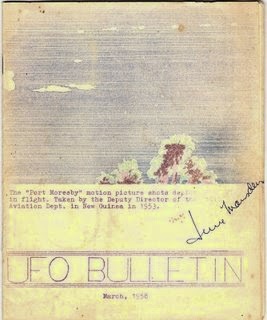 During the period of 1953 to 1954, while civilian interest in “flying saucers” was growing in Australia, extensive official and civilian interest focused on a daylight movie footage of an extraordinary unidentified “missile” over Port Moresby, taken by Tom Drury, the Deputy Director of the Department of Civil Aviation (DCA) in Papua New Guinea, then an Australian territory. While it was clear, contrary to Tom’s claimed ASIO briefing recollection, that there were missile tests going on at Woomera during 1953 and 1954, such as the Seaslug and Red Rapier (see appendix) these were clearly not capable of being the source of Drury’s “silver dart”, a point reinforced by the handwritten memo I sighted in DAFI files, which specifically ruled out Woomera as a source. But what of a sea born launch? No evidence to date has been found to support that idea. Land based Woomera launchings of the Seaslug missiles occurred in July, 1953. They were ultimately to be used as a ship launched missile. Pictures of the Woomera launches show a wide “fan” exhaust pattern that Paul Drury, Tom’s son who vividly recollected his observation with his father and mother, described to me during 2000. I showed him some of the missile firings pictures. The Red Rapier missiles were more “dart” like, but these were only launched from the base of Washington bombers over the Woomera site, and hardly had the range to make it over Moresby. While a “missile” looks like a possible candidate from the Drury “silver dart” no credible evidence to date has emerged to identify its origin. 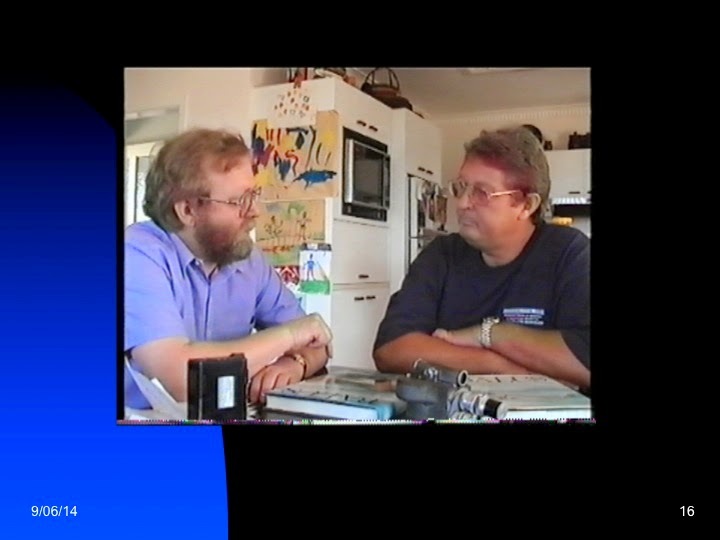 When I told Tom that I had seen in the RAAF files prints (rather negatives) apparently taken from individual frames of the film, he replied, “Well, you’ ve seen more of it than I have.” I told him I would ask DAFI to take copies for him. I did write to them on that basis and I understand Tom did eventually receive the 5 prints that remain - this, after almost 30 years! Tom Drury also reminisced about some of the treatment he encountered in the wake of the UFO incident. For example the “Drum” column in the South Pacific Post reported that rumour had it he may have seen the flying saucer through the up turned end of an empty rum bottle. Tom demanded an apology from the paper. They said no, it was only meant as a joke, you know. When Minister of Air Bill McMahon’s statements about the incident appeared in a Sydney paper months later reporting that Tom Drury was a reliable, credible observer, an honest citizen, Tom said to the South Pacific Post would you print what Mr. McMahon said about him. They said they would. Drury also said, what about the apology. They said they would apologise in the next edition. They did. They again referred to the original slight re the rum bottle, then indicated they wished to make an outright apology to Mr. Drury, indicating they were quite sure did not see it through the up turned end of an empty rum bottle. They mentioned the rum bottle twice in the apology! A 1955 RAAF UFO file indicates that DAFI had sold prints of the 1953 UFO pictures “at 4/9 a pop” to civilian researchers. Pioneer researcher Edgar Jarrold (founder and president of Australia’s first civilian “flying saucer” group, based in Sydney, New South Wales) and Fred Stone (an early researcher based in Adelaide, South Australia) were among those who secured copies of these prints. Jarrold wrote years later (April 1st, 1972) to researcher, Frank Wilkes, “...I was able to view blown up still pictures made from this film before it left Australia due to the American request and am still, I think, the only civilian ever to have seen them. 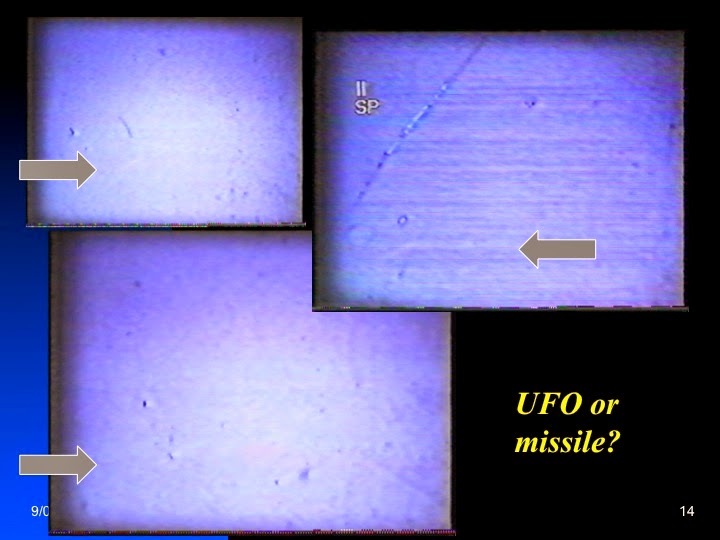 The pictures show what could only be accepted as an extra-terrestrial object, the flight path and behaviour of which, rule out any man made object or meteor. The film was made about midday against a cloudless sky and unfortunately the object was filmed from a distance, thus providing little real knowledge of the object’s shape and composition, main importance being attached to it’s most unusual actions and behaviour.”. It should be noted that Drury himself observed no discontinuity in the UFO’s flight path. Whether the claims of 90o turns were legitimately recorded on the film, or were due to camera movement, or were artifacts of processing, analyses or just plain extravagant interpretations based on limited or poor data, we may never know. The references to 90o turns all stem from Jarrold. No one else, who either saw the film or prints, made such claims. The limited prints I have make any analysis impossible. They are very poor in quality. Jarrold outlined the behaviour of the Drury object to Fulton, in a letter dated July 25, 1954, claiming the Department of Air still regarded as “unexplained”. “The object’s behaviour alone rules out that of any conventional terrestrial object, including a meteor.” He made the drawing below, specifying “the object as recorded on the film itself, behaved thus, - as it emerged from a small, suddenly formed cloud, disappearing off the edge of the film as it raced from sight.” Given that none of the photos were numbered, it is difficult to see how he could be certain about the right angle turns he indicated. The cloud would have been the only reference point in an otherwise clear sky, and apparently Jarrold indicated that the cloud had disappeared off the edge of the film. On 16th October, 1999, I visited the Australian Archives in Canberra. The main reason for my visit was that I had confirmed via an internet data base search, the presence of the file 114/1/197, with a data range of “Oct.53-Apr55”. 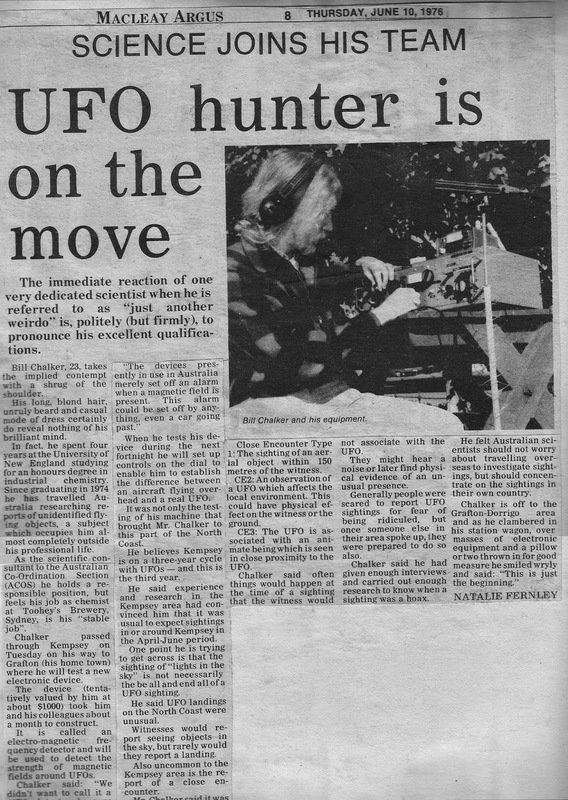 This I immediately realised was the long missing first part of the DAFI/RAAF UFO files. 114/1/197 Part 2 was recovered under the 580 series Part 1 started in 1955. Searches by DAFI itself in 1966 & 1969 failed to locate the missing part 1. It was not found during my file access during 1982 - 84, so it was a real surprise to see it turn up in the Australian archives. Comdr ATIC requested a copy of the Drury footage dated 21 1430Z SEP 53 with replies to be referenced to TIC-5209. Lt. Col. H.C. Johnston, USAF, chief, Electronics branch authorised the request for the film, which was originated by A/lc Max G. Futch. There was a 10 Sep 53 telex apparently from Col. John Sullivan, USAF US Air Attache, Melbourne, to Lt. Col. George Uhrich, ATIC WPAFB re the Drury footage. Stills were offered instead. It seems astonishing that while in the USA a copy may not have been made? This confirms the footage left Australia in the last week in November, 1953, and was sent to Headquarters, USAF, by “normal USAF service channels.” So this establishes the film, or a copy of it, was in US hands from end November, 1953 through to 5th March, 1954. On September 27th, 2000, Tom Drury’s nephew, Bill Drury, made available to me a copy of the print of the film Tom received back from authorities during 1954. 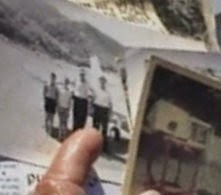 The colour film shows the native spear fisherman, a speedboat on the harbour and then immediately cuts to about 5.8 seconds of footage, apparently the end of the filming of the UFO/contrail. 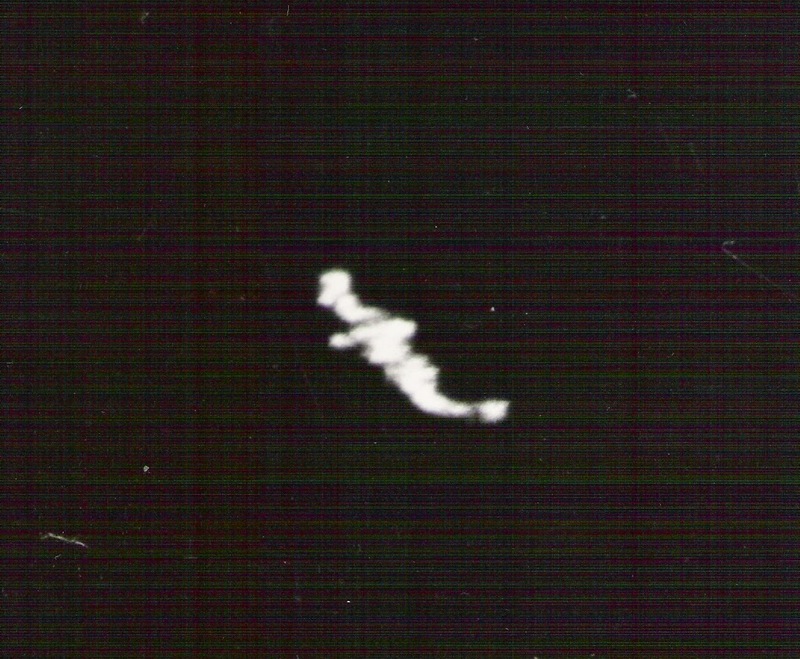 This section resembles, or is, a thin contrail-like image that is continuously moving up at about a 45 degree angle, just as described by Tom Drury. It seems clear that this remaining footage is a composite from the original. Paul Drury, Tom’s son, was present during the incident. He recollects that his father had started filming with a fresh 8 mm roll of film, with the native spear fishing, the speedboat on the harbour. Tom then started filming the cloud and the object that shot out of it until it was in the distance. He feels certain that his father ran the whole role of film out during the incident. This suggests that there may have been a significant amount of footage present on the “missing section”. Tom and his son are certain that the cloud was filmed. 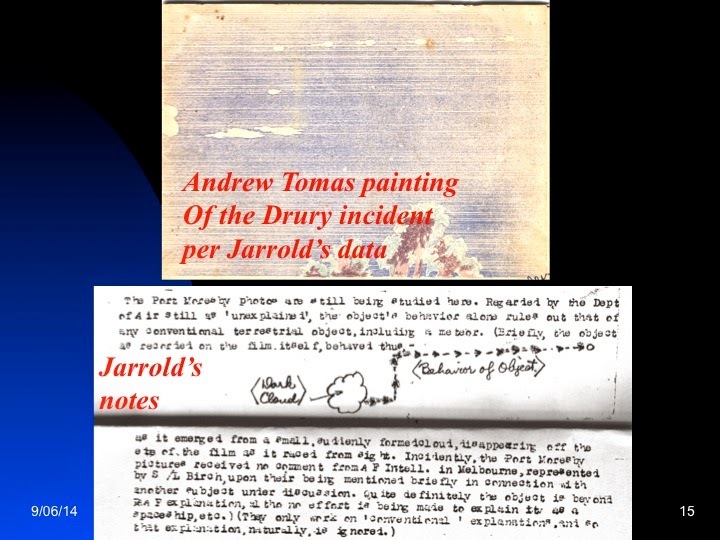 Even Jarrold claims that he saw the cloud on some of the 94 prints he received from authorities in 1954. We don’t know if they were sequential frames, but Jarrold came up with his trajectory, which included right angles movements, that no one else reported, including Tom Drury. 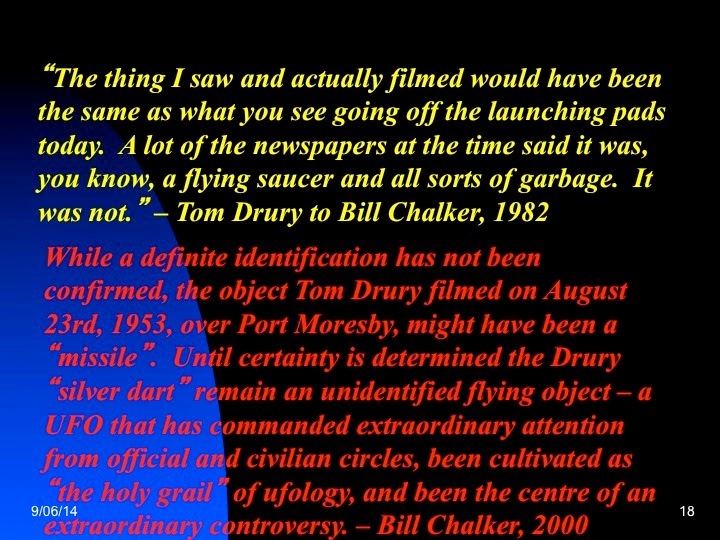 While a definite identification has not been confirmed, the object Tom Drury filmed on August 23rd, 1953, over Port Moresby, might have been a “missile”. 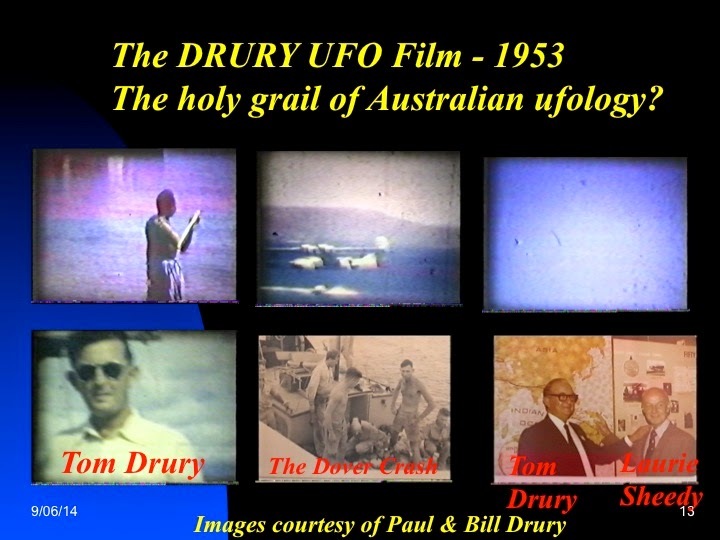 Until certainty is determined the Drury “silver dart” remain an unidentified flying object - a UFO that has commanded extraordinary attention from official and civilian circles, been cultivated as “the holy grail” of ufology, and been the centre of an extraordinary controversy. I hope this study has revealed a clearer perspective on this fascinating affair.